Martinsville, Va. (April 25, 1966) - The experts wrote off the Fords for the Virginia 500 stock car race, and, according to the final scoring sheet, they were right. 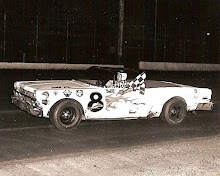 Jim Paschal of High Point, N.C., won the race in a 1966 Plymouth, followed by Paul Goldsmith, of Munster, Ind., in a 1965 Plymouth, and Richard Petty of Randleman, N.C., in another 1966 Plymouth. 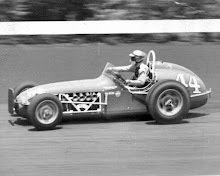 Paschal started from the pole position and led 368 laps of the 500-lap race despite a scoring error that at first gave the win to Goldsmith. 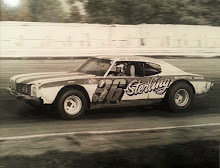 Nevertheless, the story of Sunday's race was, in many ways, the story of a Ford driver, "Tiger" Tom Pistone, a 5-foot-3 mechanic from Chicago, Ill. When the Ford factory withdrew its support from the National Association for Stock Car Auto Racing (NASCAR), Pistone didn't really care. He had never had factory backing anyway. Ford was protesting a recent NASCAR rule change which required that more than 400 pounds be added to any car using Fords new overhead cam engine. But Pistone saw something else in the rules change. 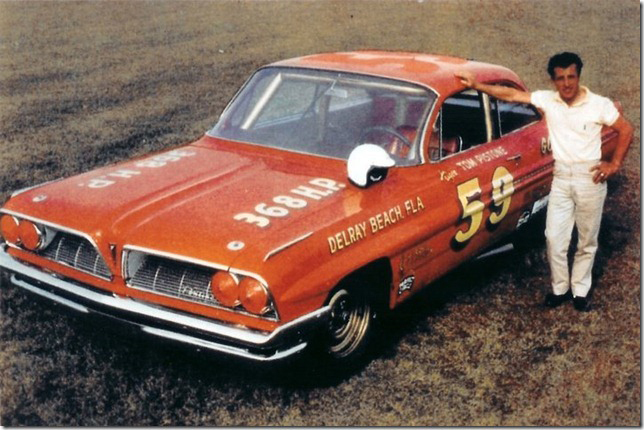 For the first time NASCAR was permitting the use of two carburetors on the older Ford wedge engines. He was convinced his 1964 Ford could be competitive with the new carburation set-up. He decided to give his theory a real test at Martinsville. 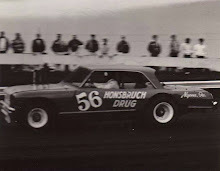 Starting from 20th place, the little charger flew past the other independents and started catching the Chrysler factory cars. 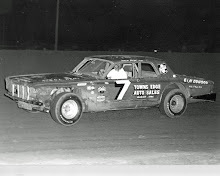 First he passed Petty, then Sam McQuagg's Dodge Charger, then Goldsmith and Paschal. As the crowd of 15,500 cheered him on, the Tiger led the race for 42 laps. A pit stop to cool a flaming rear grease seal cost him three laps but he knew he still could win. Then a rod snapped on lap 361 and his run for the money was over. But when he strolled into the press box after the race, the 37- year-old driver was all smiles and laughter.